Do you remember when I mentioned the ginger kombucha I had on tap in Hawaii? It was SO delicious. Not too gingery, not too sweet, and just the perfect amount of fizz! Matt loved it as well, so I really wanted to try and recreate it at home. 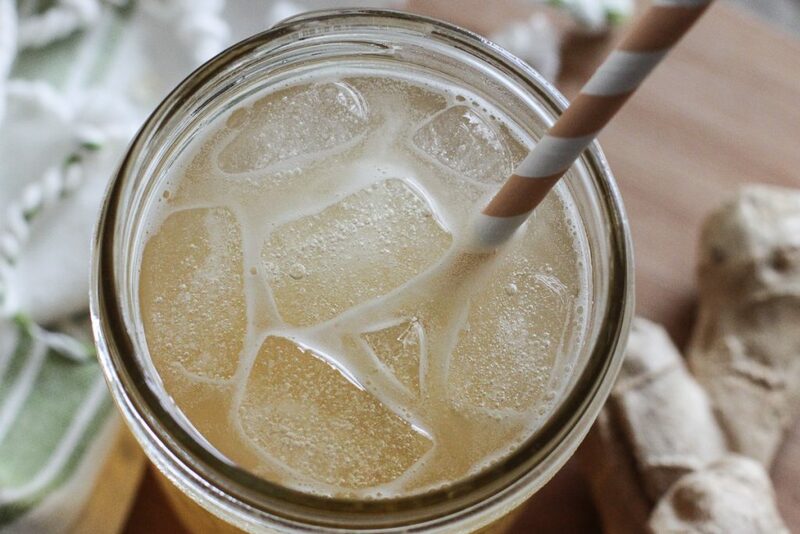 Ginger can be tricky to work with in kombucha. Use too much and it almost burns your throat. Use too little and it tastes like watered down ginger ale. After testing several different ginger kombucha recipe ideas, I have finally nailed it! I seriously lined up a blind ginger kombucha taste test for Matt the other night and we picked the same favorite as the winner. 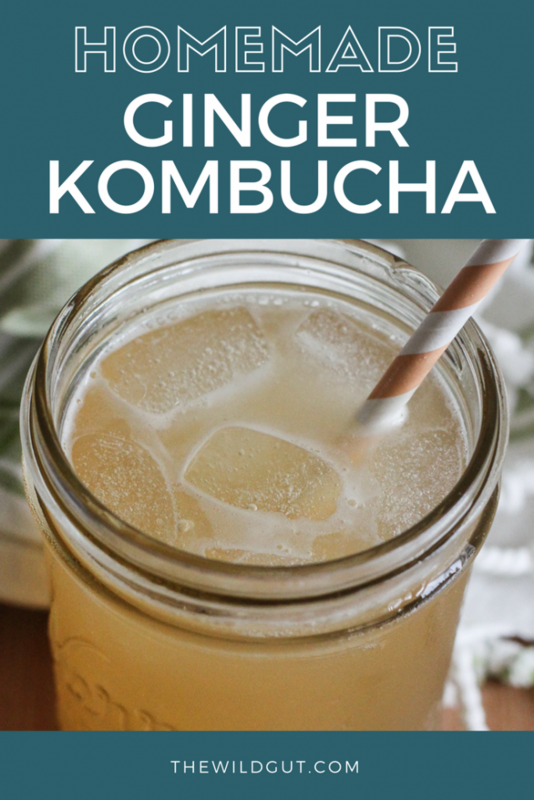 This ginger kombucha recipe can be made with either store bought plain kombucha or home brewed kombucha. 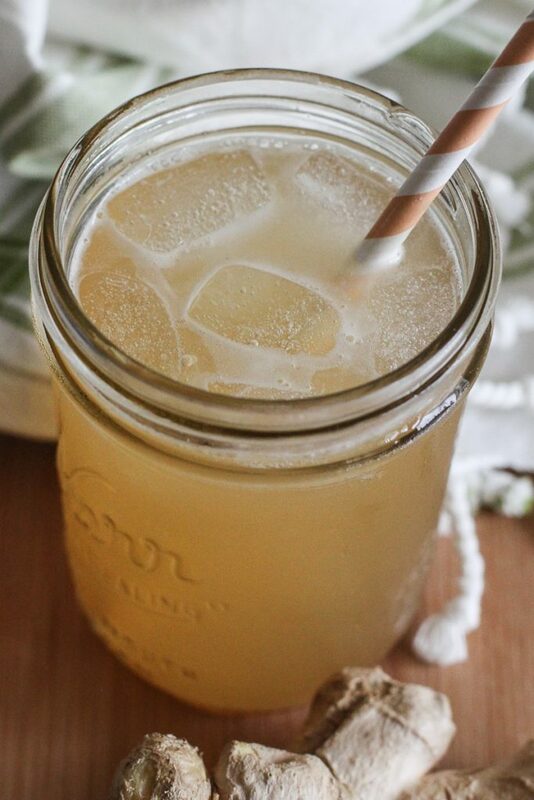 Add 1 tsp freshly grated ginger and 1/8 tsp organic cane sugar to 16oz glass bottle. Pour in kombucha and cap. Let sit at room temperature for seven days. Be sure you are using glass bottles that are designed to hold pressure and consider burping periodically throughout the week. After seven days, transfer to the refrigerator until you are ready to drink. I recommend straining out the ginger before drinking as well. Now, pour that stuff in a glass and enjoy! Previous Post: « What Type of Salt is Best for Fermenting? Can you use an airlock on a second ferment like this, in lieu of thick glass and occasional burping? Yes, you could. However, you won’t get a fizzy final product as the airlock will prevent any build up from occurring. Can you use a sugar substitute and apoxmitely how much. O and whst is kombucha. And how do you make it? First, kombucha is fermented tea which uses a SCOBY for the fermentation process and has been around for thousands of years. The SCOBY (Symbiotic Colony Of Bacteria and Yeast) feeds on the sugar during the ferment and the process actually turns the sugar into healthy acids, resulting in a probiotic rich fermented drink. There are trace amounts of alcohol because of the process, but usually less than 0.5%. And regarding the sugar substitutes; there are different options such as molasses, agave, syrup and honey, but we highly recommend using organic cane sugar for brewing. Again, the sugar is used as food or fuel for the SCOBY, so it is important to use a quality sugar. You may be referring specifically to sugar substitutes like splenda or stevia, but these are not fermentable with the SCOBY (yeast specifically), so molding may occur. I hope this helps and feel free to let us know how your first brew goes! Hello! 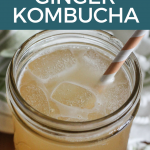 Ginger kombucha will taste different from ginger beer due to the tea base. I would suggest looking for a ginger bug recipe and going that route to achieve more of the ginger beer taste.